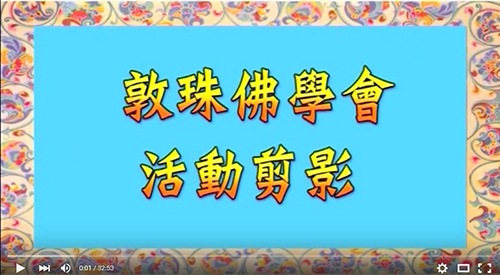 由於是從未有過的特許及開示，因此彌足珍貴，希望各位法友多加珍重，並且銘記於心，則 不辜負依怙主 夏札法王慈悲開示之苦心。本會仝人為慶祝我們最敬愛之頂嚴 (根本上師) 依怙主 夏札法王，於今年2015年之一百零四歲之榮壽，特以此片段緬懷我們最敬愛之頂嚴 (根本上師) 依怙主 夏札法王之大恩大德；並值此善緣誠心祝禱根本上師依怙主 夏札法王健康長壽住世，大轉無上法輪，利益無盡蒼生! 願善妙增長! 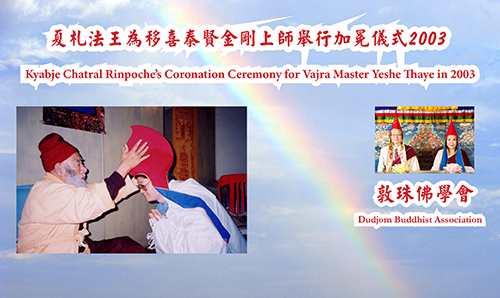 It was on December 24, 2003 that Kyabje Chatral Sangye Dorje Rinpoche had presented the Coronation Ceremony, by personally bestowed the Pandita Hat upon Vajra Master Yeshe Thaye, to show His personal authorization on the status and title of "Vajra Master" to Yeshe Thaye. 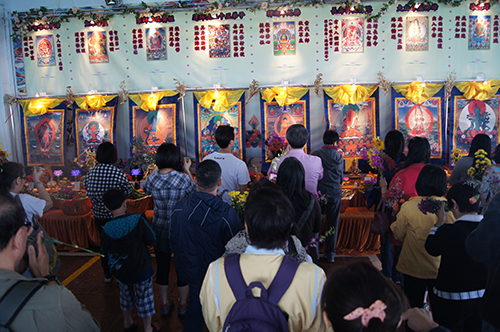 This video contains many precious personal photographs of the Buddhas, Gurus, pictures, thangka paintings, and footages that have never been seen before, and is considered most invaluable as a historical document. Its contents include: A short introduction of the life story of Lord Buddha, including the holy places of his Birth, Enlightenment, Turning the Wheel of the Holy Dharma, and Maha-parinirvana; the introduction of Buddhism into Tibet by the India tantric Master Guru Padmasambhava, the Second Buddha of our time, and the establishment of the Samye Monastery; a short introduction of the Rainbow Body of the Nyingma (Ancient) School of Tibetan Buddhism; the enlightened activities of H.H. 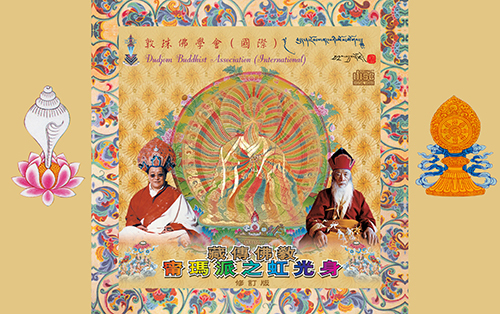 Kyabje Dudjom Jigdral Yeshe Dorje Rinpoche, the Regent of Guru Rinpoche of our contemporary time, together with a short introduction of the Dudjom Tersar Lineage; the enlightened activities of H.H. Kyabje Chadral Sangye Dorje Rinpoche, the Great Realized Dzogchen Master, and the Vajra Regent of the Dudjom Tersar Lineage; a short introduction of the Dudjom Buddhist Association (International), to be concluded with a very rare footage on the Spiritual Advice by H.H. Kyabje Chadral Sangye Dorje Rinpoche for Dharma Practitioners of this Degenerate Age. 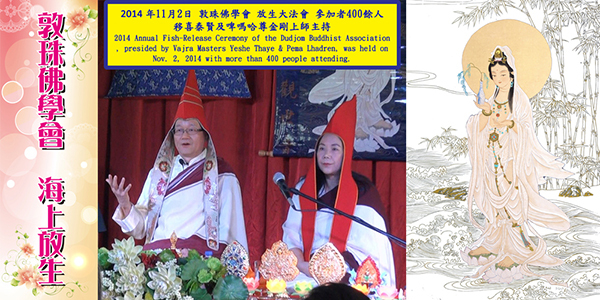 Particularly with the special blessings of His Holiness Kyabje Chadral Sangye Dorje Rinpoche's great presence with us, while celebrating His Holiness' 104th Holy Birthday this year (2015), the Dudjom Buddhist Association (International) would like to hereby specially dedicated all the accumulated merits for the great health and longevity of our Most Beloved Crowning Jewel (Root Guru) His Holiness Kyabje Chadral Sangye Dorje Rinpoche, with our earnest, humble and utmost sincere prayers and aspirations that His Holiness' Lotus Feet will remain firm and steadfast for thousands and thousands of aeons in this universe, so as to continuously uphold the Victory Banner and turn the Wheel of the Holy Dharma, for the benefits of all our motherly sentient beings, as limitless as the sky! SARWA MANGALAM ! 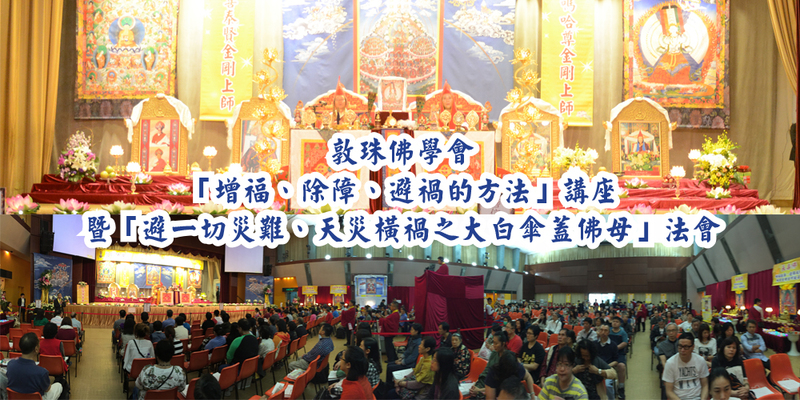 The Dudjom Buddhist Association (International) was founded in Hong Kong by Ven. Vajra Masters Yeshe Thaye and Pema Lhadren in January 1998. 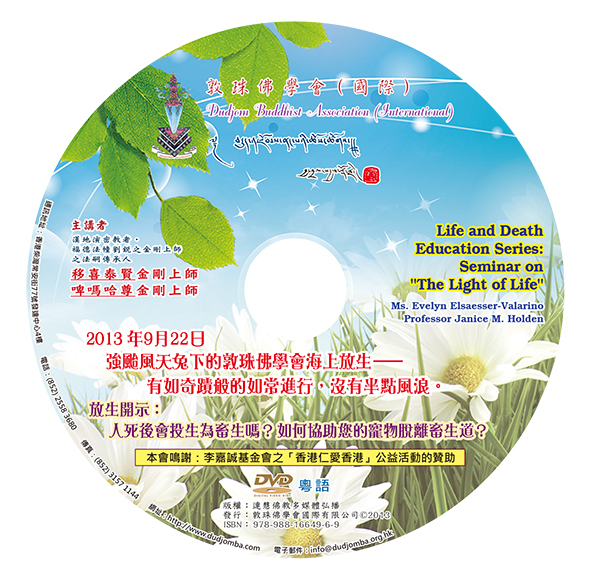 The bimonthly journal of the "Lake of Lotus", with a free distribution of DVDs on the Buddhist teachings, has been widely circulated in all the 7-11 stores since January 2006. It is further distributed free of charge since November 2012 for download as an eBook (athttp://www.dudjomba.com). 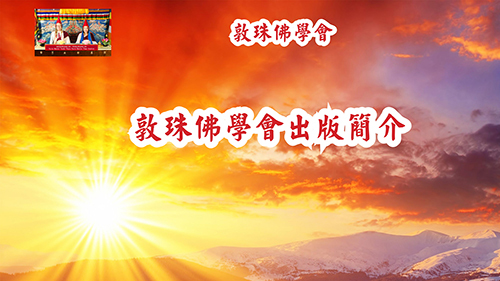 Due to its thought-provoking insights, while using scientific investigations in explaining the Buddhist teachings, the Association has been widely acclaimed as one of the most influential Buddhist organizations in the world. 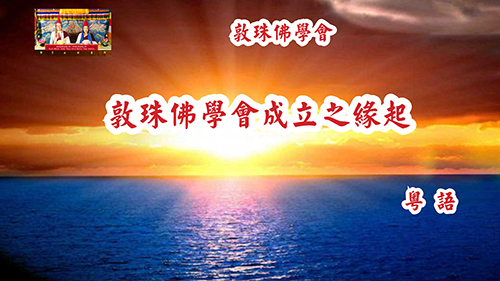 敦珠佛學會(國際) 於2012年11月初「四聖日」之殊勝日子，特別舉辦了大型之海上放生法會，並特別以此殊勝功德全部廻向給本會之「頂嚴」(根本上師) 依怙主 夏札(戚操)生紀多傑法王，祈禱 夏札法王佛體安康、長壽住世，繼續高舉勝利之尊貴法幢，大轉無上瑜伽之法輪，利益無盡蒼生，是為本會至誠的祝願 ! 願善妙增長 ! 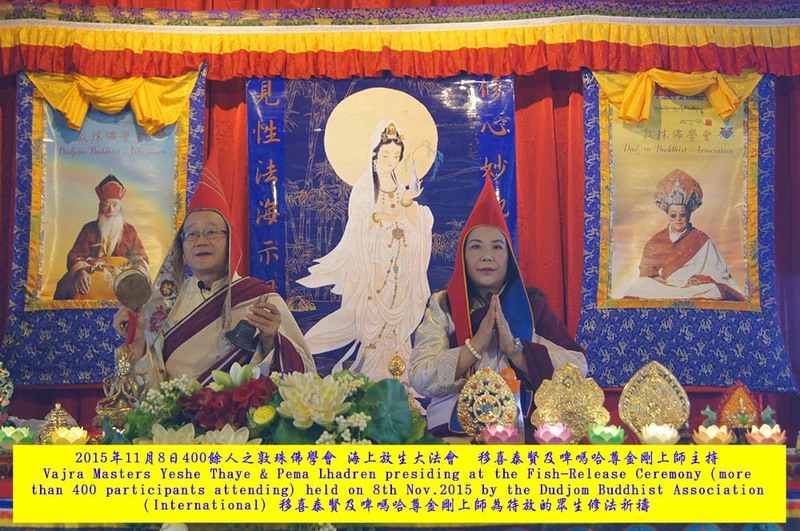 The Dudjom Buddhist Association (International) has recently held a large gathering of the Fish-Release ceremony on Lha Bab Duchen, and specially dedicated all the merits of this whole event for the great health and longevity of His Holiness Kyabje Chadral Sangye Dorje Rinpoche, praying that His Holiness' Lotus Feet will remain firm and steadfast for thousands of aeons in this universe, so as to continuously uphold the Victory Banner and turn the Wheel of the Holy Dharma, for the benefits of all our motherly sentient beings, as limitless as the sky! May our most sincere and humble wishes be totally fulfilled!